Friday morning. I’m lounging around at the Department of Foreign Affairs & Trade’s new InnovationXChange, trying to look cool and network a bit but feeling a more freaked out than a freakshake. I casually chat with one of the presenters, trying not to gawk at her Google Watch or say anything too dumb. 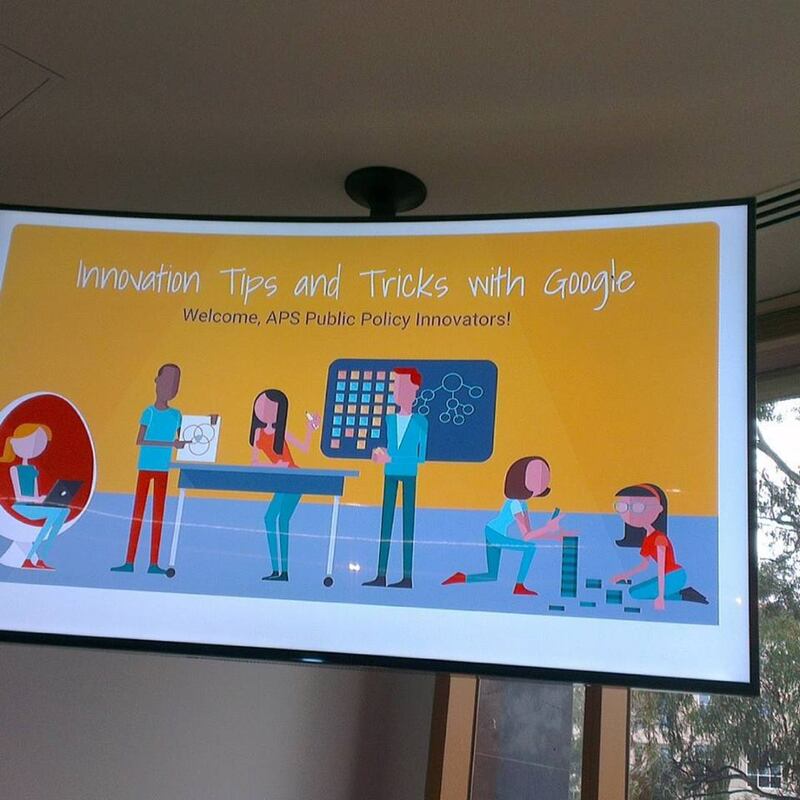 It’s a Google Innovation workshop and I don’t know what to expect. Would they be trying to sell us on Google product? Am I going to be made to come up with weird new ideas? 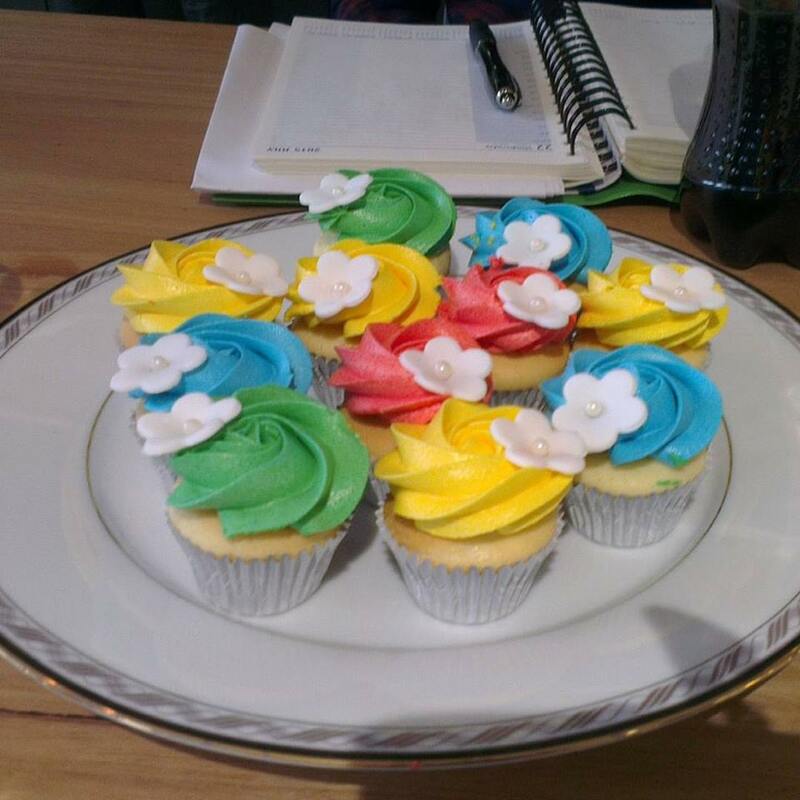 My eyes are drawn to the plates of mini cupcakes in Google colours. Pretty. And the Lindt chocolate in bowls in between. 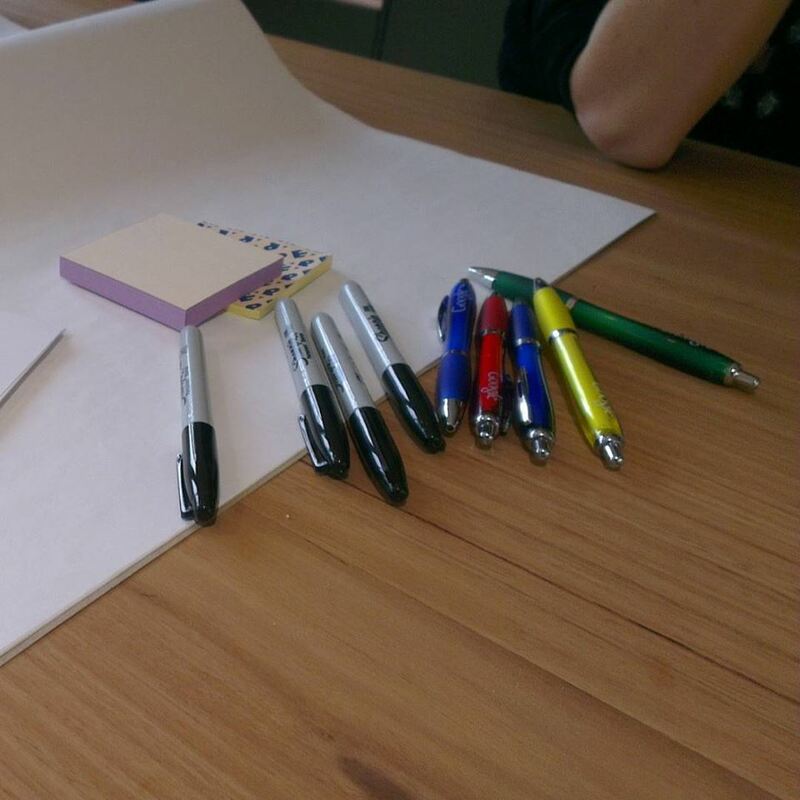 Also the multi-coloured Google pens placed on each table on top of butchers paper, post-it notes and stickers. Was I being bribed by sweet things as a lead-in to something scary and intellectually intimidating? Would I be put on the spot and embarrassed? The time to start arrived, and our presenter asked us to sit down on tables and into groups. I looked around and identified one (friendly) person I knew. The two hour workshop went quickly. There was a lot covered in that time, it was intense, and yet time just flew. At times I felt slightly uncomfortable as I was being pushed subtly out of my comfort zone, encouraged to think big, to articulate it, to draw!, and then go back into my organisation and implement that. Yet there was also a buzz, a sense of possibility and positive momentum. I decided I like this innovation stuff. So what are the lessons and activities that stood out for me? Google employees are encouraged to think 10x rather than just 10%. Why make a small change if you can implement a big one? This is not to say you can achieve a project that will yield ten times the results all at once, but if you have a vision or a goal you can achieve it bit by bit. For example, after the Haiti earthquake, a Google employee had an idea of using balloons to beam out wi-fi. “Great, and why not do it globally!” said an engineer. And that is what Google is doing, trialing using high-altitude balloon as part of Project Loon. Stand behind whoever has the idea, as innovation can come from any source. We played “scissors, paper, rock” at the beginning of the exercise. “Oh no, a lame team building event,” I thought. I was actually happy when I lost on the first go. Within minutes I was standing in a congo line behind many others, chanting someone’s name, hoping he would win. It was a physical way of representing how powerful it can be to support some else’s idea. In the wrap-up session, several people commented that this was the most powerful exercise of the workshop. Say “yes, and”, instead of “no, but”. We were encouraged in our group to come up with a radical idea for a Christmas party. Then people in the group deliberately rubbished it. “No, but ….” they said as they came up with excuses. Then we reversed it and actively supported a proposal and added to it. “Yes, and we could all go to a Pacific island for a work Christmas party, and yes we could have a fundraising fashion parade, and yes we could get corporate sponsorship, and yes we could have lots of fun.” It sounds corny, but this simple exercise had a huge effect on my mood, and my willingness to contribute ideas. With the first “no, but” I felt shut down, unacknowledged, overlooked. But with the second I could almost feel the enthusiasm, the sense of possibility. Set aside 20% of your time for innovation. At Google, engineers spend one day a week developing new ideas. How much more innovative and productive could I be if I actually made time for innovation? Of course not all innovation comes sitting at your desk, often it comes when we are relaxed and happy. I have decided to mentally schedule Wednesday as my day to think a little about how to do my work better. I often come up with good ideas while swimming, so I will make Wednesdays the day to go to the gym as well. At the end of the workshop, I came away feeling like anything was possible. “This might actually just work,” said one of my group members as she rolled up her piece of butcher’s paper that mapped out an ambitious and fun solution to a problem that had confounded her team. Then I headed back to the office, clutching an offering of some remaining Google cupcakes for my colleagues. I stopped by to chat with someone about a proposal I am working on. “I’m just playing devil’s advocate,” she said to me while pointing out all the problems and why I would be unlikely to get support. I smiled inwardly and mentally said “yes, and”.